It didn’t take me long to realize I knew nothing about design. While fabrication of metal jewelry was challenging enough, design simply eluded me. 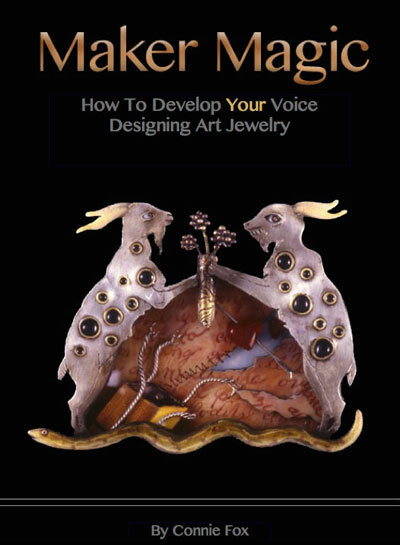 This eBook, Maker Magic: How to Develop YOUR Voice Designing Art Jewelry, is the result of my passion to learn about this topic over the last 17 years. The book is now available for purchase in our online store. Click here to go directly to the store where you can purchase the PDF either for yourself or give as a gift to someone. You may also click here to see a preview of the introduction to the book.